I found out this morning that my Yuma food mentor, Ed Davis, aka "Ed in Yuma," aka "Ed Dibble," passed away this weekend. I first met Ed via Chowhound, back when it was a very simple, online foodie bulletin board. 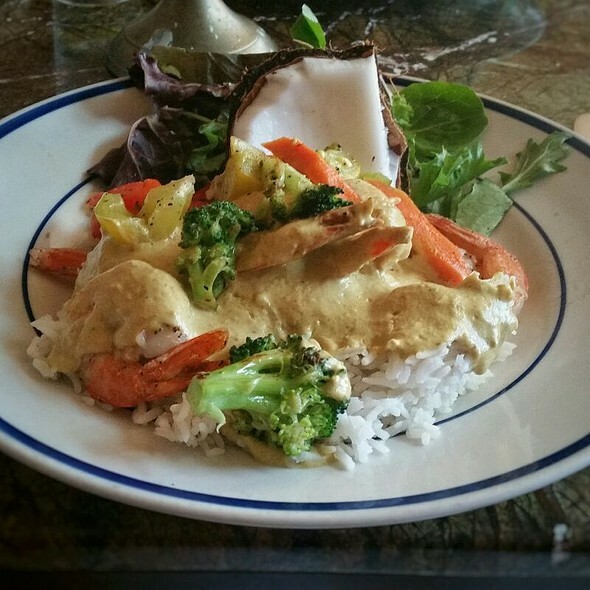 Yelp and Instagram didn't exist, so random people from around the world posted thoughts and suggestions about what and where to eat on this discussion group. Being new to Yuma in 2006, I figured I should check out the food scene, and the only person posting on a regular basis from Yuma was this guy, "Ed Dibble." I am embarrassed how long it took me to figure out the humor in his handle. I followed Ed's posts religiously. If he suggested a place, I would try to find it. I didn't find them all, but most of the ones that he suggested (that are still around) are now long time favorites. Since there was no way to direct message someone on Chowhound, I had to hint on posts a few times that I'd like to meet Ed someday. I thought maybe I'd just happen to run into him at some point. Since I work with KAWC, Yuma's public radio station, I'm not hard to find, and Ed started dropping hints on his posts that he knew who I was. Then, during one on-air pledge drive, Ed actually came to the studio! AND I WAS ON THE AIR! NOOOO! I missed my chance! Luckily, our mutual friend, Ellen, knew I was stalking him, and graciously set up dinner to connect us. We had a grand time meeting Ed and Tina, and I continued, after that, to stalk his food posts, through his blog. I am truly sad that I never got to have dinner with Ed at his favorite Chinese restaurant, Yummy Yummy. And that I never got to cook for him to make him some of my favorites. In his honor, here are my favorite Yuma restaurants that were originally from Ed's list. And I will make it a point on my next trip to try some new places and write about them. I hope you're having a great banquet, wherever you are now, Ed. Godspeed, and bon appetit! One of the nicest restaurants in Yuma, and owner Nan Bain is a huge supporter of public radio, particularly our station, KAWC. We've been eating here since our first visit to Yuma and have really eaten everything on the menu. My favorites are the roasted red pepper and tomato bisque, the coconut curry shrimp, the tequila snapper, and the pistachio crusted salmon or chicken. They are also a great option if you need vegan or gluten free options. Previous post for River City Grill here. Juanita's has the very best seafood cocktail in Yuma. Hands down, end of conversation. 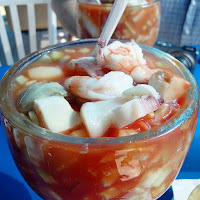 I love the campechana, which is the "everything" seafood cocktail, including shrimp, scallops, oysters, octopus and squid, and sometimes conch, depending on the day. The broth that the seafood rests in is the most delicious part. Add a little hot sauce, and it's a perfect meal on a sunny, but not too hot, day. Juanita's is a semi-permanent taco truck--it has a sign, outdoor seating, and rest rooms, but the truck drives home at the end of the day. It's also only open during daylight hours, because there's no outside lighting, and hours vary during the summer months. It's helpful if you know a teeny bit of Spanish, although on the weekends, the young man who typically is there expediting orders and busing tables can help with translation if needed. Bring cash. I used to go to the original location on 8th Street every trip for the Pepe Special, a tomatillo stewed pork. I still love the Pepe Special, but now I get it at their Foothills location, because it's 1) closer to the station, and 2) a little better, I think. Located at the very end of a strip mall, around the corner from the main stretch of the mall, this tiny restaurant produces excellent Mexican food. 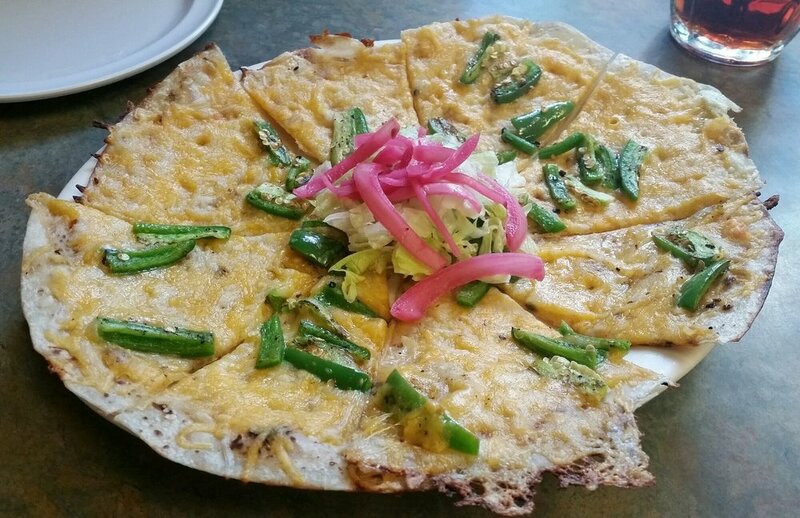 I am a big fan of the carnitas dinner as well as the cheese crisp, which I think is the best in Yuma. The restaurant at the Desert Hills Municipal Golf Course, worth the trip. The jalapeno margarita is incredible, and favorite starters are the chicharron, the bacon wrapped shrimp and the stuffed medjool dates. Ed's post is much more detailed than mine, with good pictures, since I can't find mine. Thanks for some great meals, Ed.